One doesn’t like to blow one’s own trumpet too often, but I couldn’t resist this one, so please forgive the indulgence. And in any case, I have you, my readers, to thank for it, so I had to post this in order to say thank you. Vertebrate Publishing are a niche publisher of books about the outdoors who fans of mountaineering literature should be grateful to. 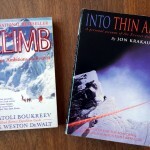 I’ve mentioned previously in this blog how they’ve been acquiring the publishing rights to old mountaineering classics and re-publishing them at affordable prices. Vertebrate also put their faith in new writers and climbers who don’t have an established audience, and help bring their stories to life. They also help to promote their authors, entering their books for awards. They arrange promotional talks for them, and get them slots at the major mountain festivals such as Kendal and Banff. 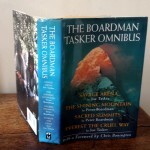 These books are highly-regarded in the climbing community; several are shortlisted for the Boardman Tasker Prize and Banff Mountain Book Competition every year, and they’ve had a few winners. This year another of their books The Bond by previously unknown writer Simon McCartney has been receiving lots of positive publicity in the outdoor press since winning the Boardman Tasker Prize earlier this month. What struck me about Vertebrate’s tweet wasn’t the book at no.1 though, but the book at no.2. It’s a book that hadn’t even been released when the tweet was sent, by a writer with no publishing company to back him up, who doesn’t give any promotional talks, whose name isn’t even whispered in the streets of Kendal or Banff, who isn’t eligible for many book awards and wouldn’t get a look in if he were, and whose books have never been reviewed by a single outdoor magazine, ever. Despite these things, his book was neatly sandwiched in the Amazon bestseller list between a Boardman Tasker Prize winner and Jon Krakauer’s infamous Into Thin Air. However did he manage it? Because of you. I don’t do promotional tours, or network, but one thing I do a lot more of than most mountaineering writers, is write. Thanks to this, through word-of-mouth, I’ve been able to pick up readers. You share my posts on Facebook, Twitter and elsewhere, and post positive reviews on Amazon. Between you, you have become an army of advocates as effective as any book publisher, promotional tour or outdoor magazine. So much so that when I woke up on Thursday morning, a few hours after my book had been released, I was able to post this cheeky little tweet back at Vertebrate. Yes, that’s right. I’d been able to knock all of them – Simon McCartney, Jon Krakauer, Joe Simpson – off their perch. It’s all done in good spirit, though. Writers and publishers in the same genre don’t compete with one another. In fact, it’s quite the opposite. Everybody who enjoys reading The Bond is a potential reader of my books too, and hopefully I also send readers in return. I was also being kind. 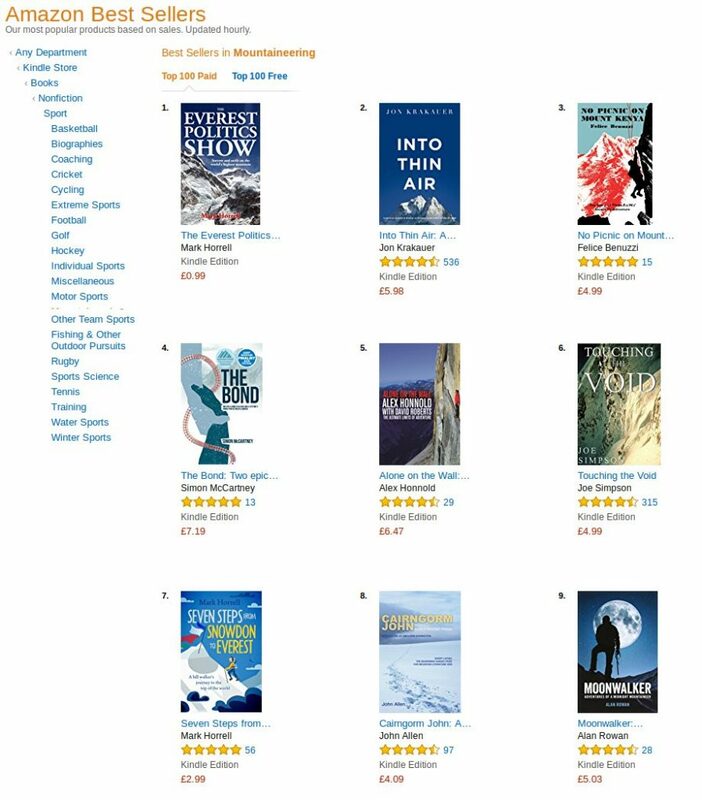 I didn’t tell Vertebrate that if they scrolled down a little further they would see another one of my books at no.7 in the chart. Anyway, I’d like to say a BIG THANK YOU to all of you. I’m a one-man band, who chose the indie path, instead of seeking a traditional publisher to publish my books, for the same reason that people choose to set up their own business instead of getting a job with someone else. It means I have to buy in help from professional editors and cover designers, and plead with volunteers to give feedback about my books before I publish them. But it also gives me greater creative freedom about what I publish. I have no need to work to anyone else’s deadlines, and I hope that one day it will also give me the financial rewards to do it full time. 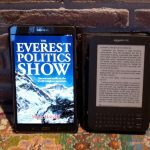 If you haven’t done so already, and have a few coins in your pocket, then why not download The Everest Politics Show to your Kindle, or buy the paperback of Seven Steps from Snowdon to Everest. And if you enjoy them, please consider posting a review on Amazon or the site where you bought it – it beats a write-up in the outdoor press any day. ← My new diary The Everest Politics Show is out tomorrow! Congrats Mark! Always enjoy your writing. Keep it coming! Hi Mark, I’ve read all your stuff and have spent many hours in bed with you firing my imagination. How are Ian and Mark doing? 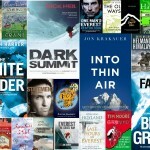 I pre ordered The Everest Politics Show a few months ago and its on my kindle. I’ll get to it when I’ve finished The Bond. I’m about 50 pages into The Bond and can’t put it down. Seriously, you should be up for the Boardman Tasker prize. I saw Cedar Wright at the Kendal Mountain Festival last week, what laugh, he was fantastic. I was emailed by the Keswick Mountain Festival last year and asked for suggestions for speakers. I suggested you. You’d be great. I believe you have turned down speaking engagements, but I’m sure a lot of your readers would love to hear it from the horses mouth. Anyway, thanks for all the hours of bedroom fun. Congratulations Mark for having 2 books in the top 10 and for making number 1! 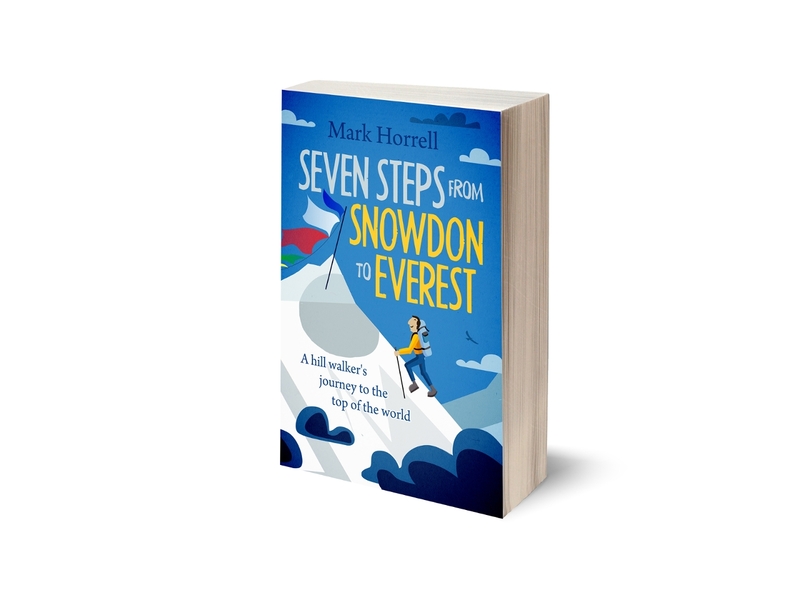 I have read your ‘Seven Steps from Snowdon to Everest’ and I can highly recommened it, it is a excellent read. Well done, you’ve certainly made a success of going by the Indie route. You’ve worked hard to achieve it, harder than most are prepared to do which is why few are as successful as you. As for Amazon, it’s only one view of the mountain. You’ve chosen to sell exclusively through it so your stats are maximised, which is a good strategy. However mainstream publishers have numerous other routes to sale, including distributors, in-house sales platforms and author events. So while The Bond might not register as high as your book on Amazon, it is probably outselling it several fold because it’s in every climbing shop in the country. Having said that, unless you’re a Joe Simpson, authors have to work hard to sell their books. I’ve certainly discovered that with my book ‘Virgin on Insanity’. Despite great reviews, it takes an effort to keep it visible, and I’m not as good at this as you are! So well done. That’s undoubtedly true. You don’t have to remind me that physical bookstores are still largely closed to indie authors. I’m not exclusive to Amazon, and any bookstore can source my books via Ingram, but few do. I’ve made a few sales by that route, but like you say, it’s unlikely you will be able to walk into a bookstore and see my book on the shelves. The few retailers that have contacted me have done so in response to customer requests. But that makes it all the more pleasing that in places where there is a level playing field for indies – such as Amazon, but to a lesser extent iBooks and Kobo – I manage to be up there with authors who have much more backing and recognition from the media and other influencers. This post isn’t to brag about that, but to thank all the readers of this blog and my books for putting me there. The blog plus a few tweets and Facebook posts is really the only marketing I do, so it’s all thanks to my readers. Anyway, I appreciate your kind words. I’m intending to read your book (I promise), and I’m looking forward to your next one even more for reasons we discussed! Have been awaiting your 7steps since last Xmas, it arrived in my stocking this time. A coincidence we did the same first Nepal trip as you did, we went with Exodus, with trepidation as you, but I started when I was 60, 2006, and we live near the South Downs, so unable to walk in mountains, but we have some experience of the wonderful walking in the Mountains of the Costa Blanca. In 2006, we learnt, we didn’t like Tea House Loo’s, and the need to acclimatise. Late 2008 the KE brochure dropped through the letter box, IN THE Nepal section was ‘Walking in the Footsteps of Hilary and Tenzing’ a camping trip, as I can just remember 1953, this struct home, so we went in April 2009, if you said in 2006 we would go to EBC I would never of believed you, that was our mountain climb, cross your bridges when you get there. When we at Tenboche in 2006, there were two large groups of Japenese camping, we thought they were mad camping. We were in Sikkim last May/June, weather awful and I was awful, so maybe my last trip to the Himmalayas, we had to turn back. I forgot to say, the EBC trek started at Jiri, a day’s drive from Kathmandu, so we had a great acclimatising trek. Can I buy three copies of islands in the snow.